70,850 views. This entry was posted on Tuesday, May 27th, 2008 at 9:37 pm	and is filed under Affordable, American, Burgers, Burrard, Casual, Downtown, Entertainment, Family, Favorites, Food Court, Hamburgers, Large Groups, Lunch, Mexican, Modern Decor, Movie Theatre, Nachos, Nova Scotia, Open Late, Reasonably Priced, Students, Vancouver, Vancouver City Scenes. You can follow any responses to this entry through the RSS 2.0 feed. You can skip to the end and leave a response. Pinging is currently not allowed. Ditto with Dan regarding the fabulous Tinseltown cinema with it’s 9 screens,1st cinema in Vancouver to offer stadium seating and free parking. Did you forget about Tinsel Town? approx 9 screens just across town? 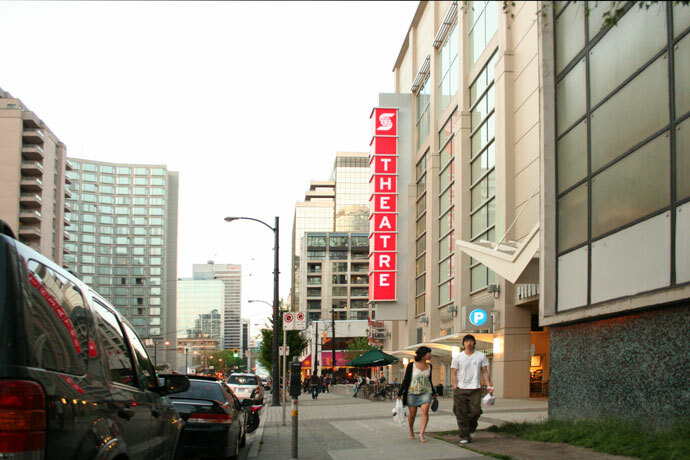 The ONLY major movie theater in Vancouver. You’d think in an international city with a large population people should have a little more of a choice. But because this is the only big cinema complex in the city, most newly released movies are consistantly SOLD OUT on a regular basis for up to 2 weeks after their release. My advise is get there early for anything popular and be prepared to wait in lines and then sit in a crowded theatre with an ever increasing public who have no respect for keeping their mouths shut during the film. Scotia Theatre is the reason I download. 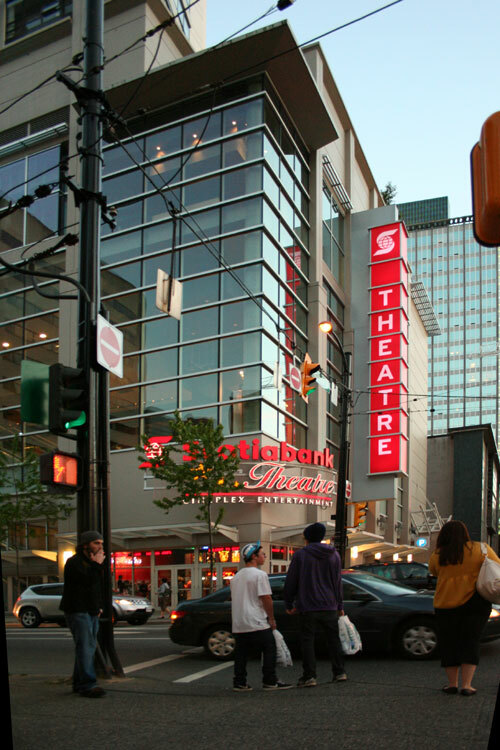 terrible name for such beautiful theatre complex,scotiabank theatre sounds like a large hall rather than a movie house. why couldn’t they just leave the ‘paramount name alone? change of owner ship maybe?surely there are better name’s out there.the name is wrong the signage is awful,the color red is so 80’s. thanks.I guess….